Welcome to our web site. Sand & 3 Coats $1.50 Per Sq. 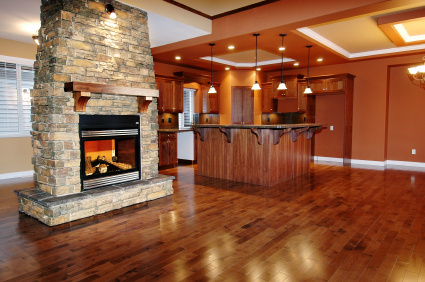 Ft. A-Z Floor Sanding is one of the leading floor sanding, repair & installation companies in the Tri-State Area. 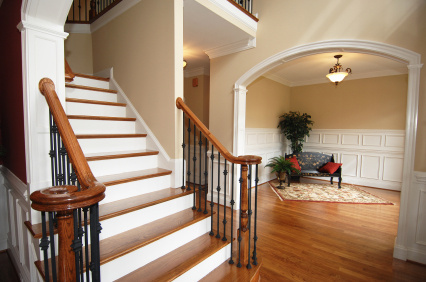 Since A-Z Floor Sanding was founded more than 20 years ago, we have served thousands of customers and have performed professional jobs both big and small. Every employee, from our customer service representatives and our workmen, to our managers, is a courteous, trained professional. 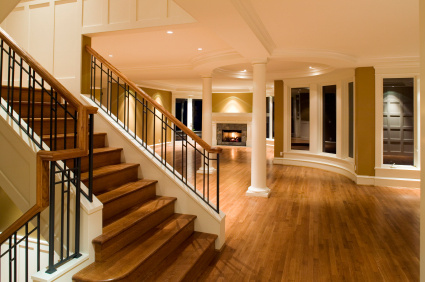 A-Z Floor Sanding covers the entire Metro Area (including NJ - PA - CT - MD & Westchester County) . Just want to say thanks. The two gentlemen that you sent were a pleasure. Professional and did a great job with an old floor. Will be referring you. Thank you for your phone call today regarding the work done at 103 Southdown Road Huntington New York. . 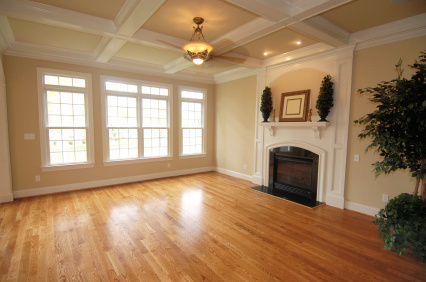 I am pleased with the workmanship performed by John and Sal on my floors and their attention to detail. 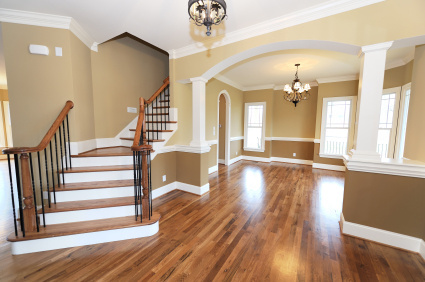 I have moldings in the rooms that have been completed and I am impressed that the work has been done with absolutely no damage or required touch up to the paint on the moldings. I have written a review on Yelp with a rating of 5 out of 5 and I have cited John and Sal by name since they have completed the work the two times in the past month that I have used your company. I have additional floors to complete and I will be using your company again and I have referred your service to two of my work colleagues who will be calling you in the near term, Paul Donahue and Besim Demiri, who have floor repairs to complete. I Only ask that you do your best to make sure that their experience is as favorable as mine has been to date. Tom and his crew were nothing short of amazing. We had a bit of an unusual job. We pulled up carpet expecting hardwood, and instead found sixty year old parquet that was in terrible shape and couldn't be saved. Tom and his crew rolled with the punches like professionals, walked us through our options and helped us find our forever solution. The work they did was clean, meticulous and so well executed. They did a complete floor rip-up, relayed hardwood floor and did some minor repairs to saddles and steps in just shy of two days. They're very reasonably priced, and can roll with the punches and still maintain professionalism and timeliness. I would recommend A-Z Floor Sanding (Tom and his crew) to anyone looking to have work done on their hard wood floors. Excellent work, and I am so grateful for them! I just wanted to let you know how happy I am with my bedroom floor.It looks gorgeous, the finish is perfect. Just what I wanted. Both men were prompt, courteous and clean. I expected dust to be everywhere, but that wasn't the case. Thank you so much, your company has my recommendation 100%. It' been five years since your company did my floors and I am still completely satisfied. Now my daughter is moving and needs her floors done. I immediately told her of my experience with your company. The work was done by men that know their job. 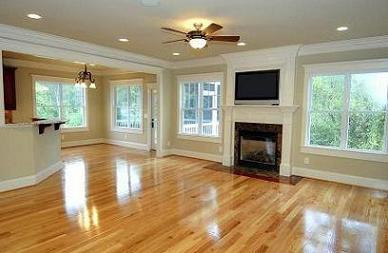 The final results of my floors were every bit what I expected and most importantly was their cleanliness. No dust! I highly recommend you and told my daughter to give you a call. Your guys did a great job. thanks very much for the fast and professional service. Michael Ambrosio - just want to tell you the floors came out beautiful and very happy..
Hi Tom, everything looks great at Eldorado Plainview. I will definitely be using you again. Just wanted to thank you for the quick response and an excellent job!! You're on my "A" list for recommendation. Punctual, did the job quickly. Price was clear and reasonable. I really liked they take credit card, especially Amex (most of sketchy contractors can't take Amex because Amex provide very good protection for customers). As we experienced fraud by other floor company (beware of "Top Tier Flooring (=American floor master=A2Z flooring), it was a peace of mind. At the end of the job, the office called us and confirmed if we are satisfied with the job before they charge the remainder of 50%. That might sound natural but actually very nice. They also said they will take care if there is any imperfection. It proves that they are responsible and trustworthy company. That is so important and hard to find. We can say that because of our horrifying experiences with numerous sleazy, greedy, lazy, dishonest contractors here. Hey Tom it's Terry we did a job with you guys 10/26 and second part 11/2. The guys did a awesome job and took their time to make sure everything was perfect. Thank so much the floors look great my wife loves them and customer service is amazing. I will definitely recommend you to my friends & family. Thank you so much for taking such good care of my parent's floors. They were very pleased at the immediate attention you gave to their concerns, as well as the final product. They will def. recommend your company. Thanks again! I'm really satisfied with the way that my living room floors turned out. The crew was on time, professional and the end result was what I was looking for. I'll use them again.